Additional Designs » 8 in. 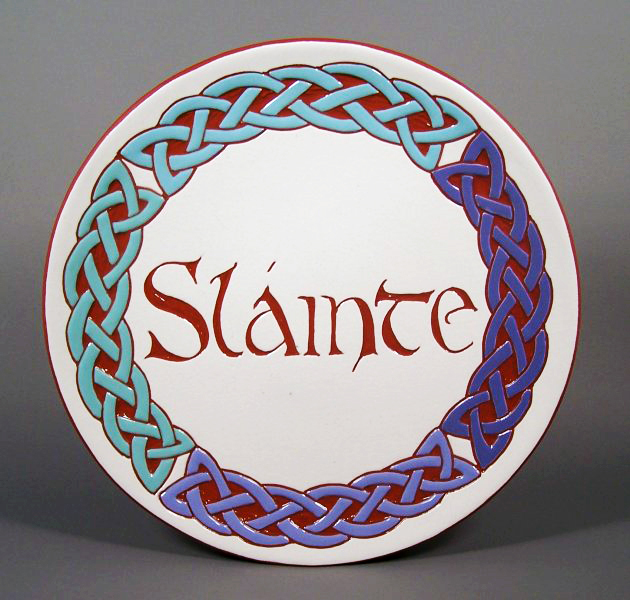 Celtic four-part Circle Plate – white $39. 8 in. Celtic four-part Circle Plate – white $39. 8 in. blue and green four-part Celtic Braid plate with SLAINTE- can also say FAILTE, SIOCHAIN, etc. – $39.